Dave Russell taught in schools in Bradford and Leeds, at the University of Central Lancashire and at Leeds Metropolitan University from where he retired as Professor of History and Northern Studies in 2010; he is now an independent scholar. He is the author of Popular Music in England, 1840–1914. A Social History (1997, second edition), Football and the English (1997) and Looking North. Northern England and the National Imagination (2004), and numerous essays and articles on the history of popular culture. His current interests include the music profession, the guitar in the mid-twentieth century and opera as popular music. Exploring a number of concert and theatrical settings including music hall and variety, the working-man’s club, popular classical concerts and brass band contests, this chapter examines popular listening behaviours in what might be termed a long Victorian century from 1850. While acknowledging that musical culture frequently transcended class boundaries (hence use of the label ‘popular’), it focuses mainly on working-class listeners. It discusses the social and musical factors that structured listening habits and, while noting the continued existence of distinctive sub-cultures, attempts to chart overall trajectories and patterns of listening. It is argued that audiences generally became quieter and more disciplined over this period, although they were stubbornly resistant to concerted attempts to alter their behaviour and the pace of change was slow. The problems posed by popular audiences should not be exaggerated, however, as they invariably exhibited behaviour appropriate to both specific musical environments and musical genres. Overall, a tendency toward respectful enthusiasm, politeness and attentiveness is arguably the hallmark of audience culture throughout the period. The emergence of new styles of youth culture from the 1950s, which sometimes appeared to involve not listening at all, marks a convenient endpoint for this discussion. Although alert to the complexities found within specific listening environments, the study is consciously wide-ranging both in terms of chronology and subject matter. While breadth risks generalisation and the obscuring of subtle variation, the benefits of such an approach are considerable. The periodisation allows for the charting of changes (or otherwise) within a set of popular musical activities that emerged in the early Victorian years, reached maturity in the later nineteenth and earlier twentieth centuries, and then moved to, or much closer to, the margins of national life by mid-century. In terms of content, institutions usually studied in isolation in fact shared a set of common problems in regard to how audiences should be attracted, entertained and policed and it is instructive to see how these issues were addressed across a broad musical field. This was originally conceived as a study of working-class listeners and, in the urban-based, white, male form that they most frequently assumed over the period, they do remain at its heart. However, although class was fundamental to the shaping of musical life it could never dictate absolutely its final outcomes. While the public house, the working man’s club and the band contest may have been almost exclusively proletarian in complexion, other arenas such as the music hall and popular theatre were more socially mixed with the exact balance varying between venues and over time. Again, working men formed often significant minorities at orchestral and even chamber concerts. 3 The label ‘popular’ rather than ‘working-class’ has therefore been adopted, used in its sociological rather than aesthetic sense to capture a set of musical environments which, although often drawing a majority of their audience from the working class, frequently transcended class boundaries. These serious listeners, in their turn, were vehicles for various, sometimes radical, discourses seeking to highlight supposed middle- and upper-middle class philistinism. Used judiciously, these rich bodies of material tell us much but scholars must always guard against becoming their prisoners rather than their interpreters. While space does not allow a fully systematic discussion of listening cultures, in what follows they are seen as the product of constant interplay and creative tension between audience demand and musical product. That demand was built, in James Johnson’s felicitous phrase, on an ‘horizon of expectation’ that amalgamated personal taste, historical practice and collective cultural tradition. 6 It was frequently influenced, especially in commercial settings, by a ‘moral economy’ which provided a sense of obligation to audiences in terms of the nature, duration and quality of performance. The central component of the ‘supply’ side was obviously the music offered and it is essential that the ‘music itself’ remains close to the heart of any analysis; cultural history can too easily become only a matter of context. Nevertheless, other factors were central in defining the range of possibilities within which the music could be enjoyed and reactions to it expressed. Johnson has identified two critical influences, namely the wider social formations and relationships that defined acceptable behaviours and the more immediate physical and physiological stimuli and constraints provided by particular venues and their underpinning ideologies. These were to prove as critical to popular as to art music. 7 Forming a bridge between demand and supply were the specialist critics and wider cultural commentators noted above and whose comments upon, and attempts to influence, audience demeanour, were ultimately dependent upon ideological and artistic preference. Although audiences undoubtedly found champions amongst their number, their combined weight probably tilted toward those managements and performers seeking in some way to reform and alter existing habits. Although James Johnson’s ground-breaking Listening in Paris has been criticised both for underestimating pre-existing habits of silent listening and exaggerating the extent of their eventual triumph, there can be little doubt that in the period from about 1750 art music audiences did indeed increasingly ‘stop talking and start listening’. 9 As a later section will demonstrate, a parallel process gradually took shape amongst the popular audiences that had begun to coalesce around new entertainment forms from the mid-century (examining the listening habits they imported from earlier periods remains an important research task). This, however, was, often more a matter of a move to quieter rather than silent listening. Audiences had always been perfectly capable of silent listening when appropriate, but in many contexts silence would have been self-denyingly perverse and downright rude to the performers. Particularly in the Victorian period and in many contexts thereafter, enjoyment (or disapproval) was to be registered audibly and various moments in performance appropriated for public intervention. It is this process of active, participatory and engaged listening that is considered first. Audiences were also sometimes extremely harsh on those believed, fairly or otherwise, not to have delivered value for money, with the ballad concerts of the leading British tenor, Sims Reeves (1821–1900) a particular target. Reeves, although hugely popular with audiences, was famously reluctant to provide encores at a time when audiences often demanded them to excess and, from the 1860s, his consistent refusal to give other than minimal satisfaction became coupled with an increased tendency to cancel concerts at short notice. Although probably dictated by genuine health issue, a drink problem was widely believed to be the cause and audiences clearly determined to extract the maximum value when he did actually sing. At the end of his performance at Victoria Hall, Leeds in 1876, for example, sections of the audience were soon ‘applauding, stamping their feet, whistling and [unsuccessfully] shouting for his reappearance’ and refused to cease when the next performer took the stage, with the result that the remainder of the concert was eventually abandoned. This pattern of events was repeated on at least four occasions at Manchester (1867), Newcastle (1878), Exeter (1882) and Liverpool (1886), while other lower-level demonstrations were frequent occurrences during his tours. 13 Significantly, younger male patrons were once again responsible for such disruptions. The perpetrators were probably both older than Cardus and his music-hall friends and sometimes from a higher social class. Although Reeves did attract working-class audiences, at Leeds at least, the minimum entry of 1/6d would have excluded almost all working-class patrons and the ‘exuberant youths’ were likely to have been lower-middle and middle-class ‘swells’, young-men-about town apeing upper-class bohemian culture. Although the exact nature of rowdy audience behaviour may have been shaped by class, an aggressive masculinity was invariably at its heart. It was not until the pop concerts of the 1950s that young women’s voices really began to play their parts in shaping live listening culture in significant ways. Historians of music hall have long recognised the easy intimacy often established between audience and performer but, while the halls probably saw this at its most marked level, it was a feature of popular musical life more widely. Interjection by individual audience members was a common and significant expression of this. Sometimes it was simply a matter of startled response to action on stage, as when a young female Bradford galleryite greeted the death of a character in Benedict’s opera The Lily of Killarney, by giving ‘a mighty shriek and exclaim[ing] “He’s shot him!”’ 16 More commonly, it took the form of admonition, encouragement or personal observation. The young Sims Reeves was told to ‘sing up lad!’ in Bradford in 1848 while, at a ‘People’s Concert’ in Halifax six years later, a member of the gallery was loudly cheered after shouting out ‘That’s true’ during a rendition of ‘Home, Sweet Home’. The local newspaper found this actually quite endearing and was far more troubled by the frequent whistling ‘more shrill and piercing than ever’ despite warning notices to the contrary. 17 Here was a sense of ownership, of familiarity with the performers that proclaimed the audiences to be valid and valued participants in proceedings. The call for an encore, invariably demanded during rather than at the end, or at a suitable break in performance, was the most important but also most problematic element of audience involvement. It is no surprise that so many Victorian critics regularly coupled the words ‘encore’ and ‘nuisance’. Singers, contracted and paid for a certain number of songs, could be pushed beyond acceptable physical limits by audience demands. Schedules were disrupted by the additional material with some audience members therefore forced to leave for final trains and trams before the conclusion of a performance; counter-encore demonstrations were understandably not infrequent. Encores became an acute organisational problem for music hall as it evolved into twice-nightly variety shows that demanded precise timings in the first-house in order to allow prompt entry at the second. Particularly in opera and oratorio, dramatic tension and artistic integrity were at risk of being compromised by calls for repeats. As one twentieth-century musician wearily observed in the context of opera, if ‘the character…is made to die twice, it matters little’. 20 However, for audience and performer alike, encores, perhaps even more than ticket sales, were the best evaluation of success, pleasurable and effectively free entertainment for the former, the stuff of press notices and reputation-building for the latter. For the most part, they were generously requested and often equally generously granted. While noisy galleries, encores and other displays of enthusiasm were never to disappear, it is not difficult to discern an underlying move toward increasing levels of restraint. It was a slow and uneven process both across the period and between different genres and it was perhaps not until the 1930s that a visitor from the early Victorian era would have sensed really noteworthy changes. Moreover, by 1950, new patterns were emerging as crooners and balladeers, then rock and rollers and finally pop stars per se became the object of noisy, highly interventionist audience engagement from within youth culture. Nevertheless, although far more research is required, evidence currently available would suggest that by the inter-war period and with accelerating force from that point, not only the opportunity but also the desire for engaged involvement had diminished. It is difficult to chart their exact chronology and extent. Thomas Russell’s wry observation on double dying was made five years after this claim. In 1933, the critic, Herbert Thompson, always fierce in his defence of the artistic and spiritual sanctity of oratorio, met a Leeds Messiah audience’s applause for Mary Jarred’s rendition of ‘He was despised’ with the rebuke that ‘there is no excuse for such barbarism’. The next year, audiences at neighbouring Bradford were chastised for ‘applauding everything indiscriminately’ during the same work. 23 Nevertheless, even Thompson admitted in his 1933 notice that ‘much progress has been made in latter years’ and by 1947, a reviewer in a north-eastern paper talked of a Messiah enjoyed in ‘the newer traditional manner, no encores’, suggestive, perhaps, that a properly ‘silent’ listening had largely been established in the field of oratorio by this stage. 24 There were certainly genres that remained immune, with Savoy opera, both professional and amateur, still strongly imbued with an encore culture. One critic noted that the audience at a D’Oyly Carte Princess Ida in Birmingham in 1932 ‘seemed insatiable and the company only too painfully eager to oblige’, while another savoured a film version of The Mikado and thus the pleasurable and ‘unprecedented experience’ of hearing the work ‘unhampered by the “encore nuisance”’. 25 Overall trends, however, were clear. Listening cultures were reshaped or reformed only rarely by either exhortation – warning notices in programmes or on theatre walls seem to have been substantially ignored – or forcible imposition. The Edwardian variety theatre was something of an exception to this, with strictures on audience behaviour sometimes reinforced aggressively by evictions and bans carried out by managers, uniformed commissionaires and sometimes even the police. Such tactics could provoke resistance, with attempts by the manager of south-east London’s New Cross Empire to introduce dress codes, limit whistling and prevent ‘unparliamentary language’ in the gallery, met with vocal hostility and even physical force. In one extreme incident, he was attacked with a knife by a patron (a slaughterman by trade) that he had tried to eject; the man served six months in prison and reportedly returned as an ally in the battle for order. 26 There were echoes of such tactics in the clumsy attempts to curtail the dancing that accompanied live rock ‘n’ roll performances in cinemas and other supposedly static environments the 1950s. In general, however, the majority of audiences, variety or otherwise, did not need a punitive environment in order to conform to new expectations. Most significant alterations in audience behaviour were more usually the result of a gradual evolution in collective mentalities structured by the internalisation of new modes of public behaviour in society more widely and subtler forms of persuasion within the specific context of musical performance. Much change was doubtless the result of a ‘civilising process’ that saw individuals become ever more subject to the regulatory frameworks of urban-industrial life, brought forth by factors as varied as the workplace, school, enhanced consumer power, increased privatisation of domestic life and the marginalisation of older, rowdier and unpredictable forms of popular culture. Within the narrower arena of popular leisure, technological change may have helped reconfigure listening habits. From the late 1920s, ‘talkies’ made cinemas quieter places, with sound removing the need for the literate young to read out captions for illiterate or semi-literate friends and family, thereby establishing a less participatory audience engagement. (Like variety theatres, larger, city-centre cinemas were also highly regulated in comparison with older, community-based locations.) Gramophone and wireless had, in their turn, the potential to give a focus and intensity to the private listening experience that could translate to the public sphere. This is, admittedly, very speculative and some accounts of broadcasting even as late as the 1950s noted precisely the opposite tendency with wirelesses left on almost permanently and issuing music indiscriminately. 27 Whatever the case, the relationship between private and public listening provides a potentially fertile area for future study. Within the field of live music, reform was largely a matter of incremental generational change. As variety became established, audiences increasingly knew what was expected of them. Within concert life broadly defined, prosaic but important organisational alterations emerging over the twentieth century including a reduction in the duration of concerts, imposition of strict starting and finishing times, insistence upon tightly defined intervals and restrictions on entry during performances, at the very least limited the problems of noisy movement and may well have generated a wider sense of order. The strictures of music critics demanding more disciplined habits possibly helped create a general atmosphere in which change could occur and, more fundamentally, they were often indicative of an increasing concern within the music profession about the need to maintain the artistic and intellectual integrity of the musical work. It was the steady but generally non-confrontational application of such thinking that had the biggest influence on listening culture. Although the detailed chronology is again unclear, for much of the nineteenth century, for example, it was common for conductors to accept the reprise of several pieces of an opera or oratorio during a performance. Gradually that number was reduced so as to allow only repetition of those items that custom and practice had rendered almost obligatory. During a Carl Rosa visit to Dundee in 1928, an encore of the ‘The Soldier’s Chorus’, long a popular favourite, was ‘the only one permitted by [conductor] Aylmer Buesst’ during the performance of Faust. The next night, while the similarly prized ‘Toreador’s Song’ from Carmen was reprised, the called for ‘double encore…was denied’. 28 Audiences were still indulged but within ever more constrained boundaries that new listeners swiftly came to understand as norms. It would be unfortunate if the foregoing exploration of listening behaviours and the role played by external influences in shaping them should obscure the extent to which popular audiences were always highly active agents in the making of their musical experiences. What is so striking from this perspective is not the problematic nature of audiences but their strong tendency to polite behaviour and, where necessary, their willingness to display the quiet, concentrated listening that was at the core of much working-class and popular listening. This was certainly the case in the concert hall, whether for the small working-class minority that patronised orchestral concerts or the larger numbers found, often with scores in hand, at vocal or choral events. Although the danger of taking positive commentary at face value has been acknowledged, there is simply too much testimony to the ‘most orderly’ behaviour, and ‘most wonderful discretion…in applause’ of the type experienced by the conductor and flautist, Edward de Jong, at his Manchester concerts in the 1880s, for them to be viewed as anything other than a central current within popular musical life. 29 Johnson’s question as to why audiences ‘stopped talking and starting listening’ may indeed be basically irrelevant to working-class concert-goers, bringing with them as many did, powerful cultural and economic motives for self-discipline. Many will have been keen amateur musicians imbued with the traditions of courteous listening common to much voluntary music-making from the eighteenth century. Beyond any such considerations of mutual respect, many early amateur choirs, bands and other groups also had strict codes of etiquette reinforced by monetary fines and penalties. Although these were often related to attendance, bad language and the misuse of instruments and other resources, it is likely that the disciplines imposed translated into a wider respect for taking music seriously and observing expected codes. 30 The simple economic imperative, however, was probably the most powerful factor. Attendance at concerts often involved costs that were ill-afforded and journeys on foot that could be long and arduous. 31 Why talk and undermine such sacrifices? For working men, unlike many of their social superiors, attendance at concerts was not an obligation or an opportunity to be seen. It was ultimately a serious aesthetic affair. 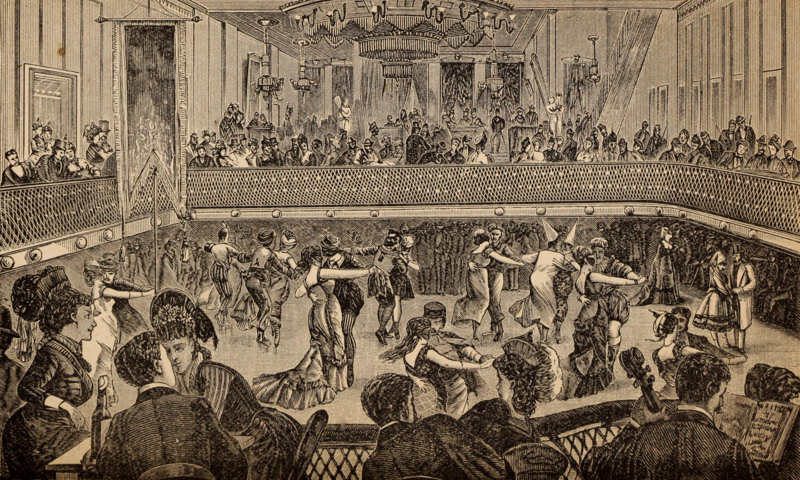 Although working-class concert-goers only ever constituted a small minority within their wider communities, serious, quiet listening, albeit not necessarily of the same duration or intensity, could also be found much more widely in such initially unlikely locations as the music hall, public house and working men’s club. As suggested above, much formal working-class culture was highly rule-bound by codes of conduct that reflected and reinforced broadly-agreed collective concepts of fairness, decency and, especially, respectability, a form of cultural capital absolutely central to larger battles over the gaining of political rights and reforms. Many aspects of popular listening were governed precisely by these codes, some of which were self-imposed, others requiring the intervention of an authority figure. Central here was the chairman, an individual variously imposed, elected or simply paid to keep order and ensure that performers could be heard. Although even the best chairmen might sometimes fail, he (always) was key to ensuring that early music halls were never the chaotic sites inhabiting the imaginations of their more extreme critics. 32 Many chairmen were the owners or managers of halls and their desire for control ultimately derived from commercial motives rather than popular mentalities. Nevertheless, the significant point is that audiences generally accepted their role and appreciated the purported philosophy behind it. Crucially, however, order never does break down, with the Master of Ceremonies determined that those wishing to listen should be able to do so and that the singer has to be given a full opportunity to perform. The main ‘hubbub’ is between and not during songs and the desire for noisy release takes the form of chorus singing. Some acts were doubtless sufficiently poor, ill-suited or unlucky to be beyond rescue and singer Elaine Delmar’s recall of one 1960s chairman requesting a club audience to ‘to give the poor cow a chance’ shows, inter alia, how unpleasant situations could become. 36 Nevertheless, much popular listening was marked by good intentions and a not inconsiderable level of respect. Historiographical emphasis and contemporary habit lead, often quite rightly, to the equation of serious with silent listening and the current narrative is tending strongly in that direction. However, serious talking can also be an entirely valid audience response and any survey trying to capture the complexities of popular behaviour should acknowledge its widespread nature. Critical running commentary took place in all forms of popular music but it arguably reached its apotheosis in the brass band contest. Musical competition is something of an outlier within this study, a highly specialised site of ‘concert’ listening in which much of the audience comprised expert practitioners, some of whom were actually participants in the event. However, the importance of banding (and other competitive forms) to popular musical culture and the light it sheds on the nature of specialist listening justifies its inclusion. On this occasion, the audience’s opinions did not accord with the ‘careful estimates’ of the judges and the results were greeted with ‘stunned silence, then cries of anger, disagreement and astonishment’. Applause for the winners was ‘very restrained’ and the wrong notes hit when they played a valedictory piece ‘set everyone in a happier mood’ 48 Here was a style of serious listening rooted as much, perhaps, in sporting as musical culture, and in which conversation could be a far more important symbol of respect and appreciation than silence, especially if the latter was accompanied by descent behind a newspaper. Arguably the most telling point, however, emerges when this rich ethnographic account (by Denis Marsden) moves on to describe a visit to a slow melody contest, a highly specialised event in which unaccompanied solos were played before a far smaller, specialist audience. In this case, those present ‘listened with closed eyes, beating time with fingers or conducting quietly with one hand.’ 49 Grunts of approval or otherwise were sometimes audible at such competitions but appreciation of the intense artistic and mental demands placed on the contestants made then ultimately a site of quiet concentration. As so often was the case with popular listening more generally, here was a precise understanding of the etiquette required. The century of popular musical culture from 1850 was complex and allowed for numerous styles of listening. Overall, however, there was a gradual but discernible shift away from often highly participatory modes of listening toward more restrained and disciplined forms. For the most part, audiences retained a considerable measure of control over this process, with concerted attempts to reform behaviours from outside sometimes resisted and often unsuccessful. Above all, popular audiences seemed to have shown a mature, almost instinctive understanding of what constituted the correct response to different musical environments underpinned in most instances by a propensity to politeness and open-mindedness. This analysis is provisional, a target upon which others may sharpen their thoughts. Far more research is required and our growing, detailed understanding of particular musical genres will refine, reshape and perhaps overturn the picture drawn here. The materials on which to base new work are not always plentiful and those working on the nineteenth and earlier twentieth centuries in particular will require much resourceful reading between the lines. For more recent times, oral history, preferably undertaken collaboratively, represents a massive opportunity which must not be lost. In particular, such work might also help meet the still unanswered challenge set by James Obelkevich in his pioneering essay on the history of listening, which called for the study not of individual listening environments but of the total listening experiences of specific social groups so as ‘to make sense of peoples’ musical taste by seeing it as part of their way of life and social situation’. 51 The history of the ways in which live popular music has been listened to in Britain is still in its exciting infancy. Bailey, Peter (ed.). Music Hall: The Business of Pleasure. Milton Keynes: Open University Press, 1986. Hoggart, Richard. The Uses of Literacy. Originally published, 1957, Harmondsworth: Pelican, 1973 ed. Jackson, Brian. Working-Class Community. Originally published 1968, Harmondsworth: Pelican, 1972 ed. Johnson, James H. Listening in Paris: A Cultural History. Berkeley, London: University of California Press, 1995. Kift, Dagmar. The Victorian Music Hall. Culture, Class and Conflict. Cambridge: Cambridge University Press, 1996. Obelkevich, James. ‘In search of the listener’, Journal of the Royal Musical Association, 114, 1 (1989), pp. 102–108. Russell, Dave. Popular Music in England, 1840–1914. Manchester: Manchester University Press, 2/1997. Previous PostPrevious Understanding audiences: what are concert-goers doing when they listen?